This saying is so timeless and universal that it's probably been around as long as eggs and baskets have co-existed. When it comes to investing, putting your eggs in one basket is the equivalent of putting all of your savings into just one stock, mutual fund or non-diversified investment type. And this is not generally a good idea because it increases market risk. For example, what if you thought a particular company had a good idea and put all of your savings into its stock? Just ask the investors in the tech bust of 2000 that bought Pets.com. Mutual funds are diversified investments, but be sure each represents different types of fund categories. You want the objectives and performance of the funds to have a low correlation with each other. In different words, you want one fund to "zig" while the other "zags." If most or all of your funds perform similarly, you may as well just have one fund, which is not diversification. For most investors, time in the market beats timing the market. 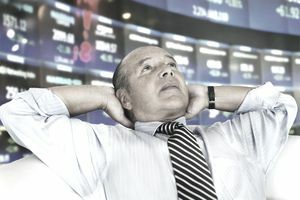 Not even the most experienced money manager knows what will happen next in the stock market or economy and even the best of investors can have dramatic declines in account value when trying to time the market. Therefore the long-term approach is best and a good way to take advantage of the market's ups and downs is to dollar-cost average into your investments, which means you buy consistently on a periodic basis, such as once per month. Even better, take all of the guesswork out of investing and set up a systematic investment plan where your money is automatically withdrawn from a cash account, such as a checking account at a bank, and invested at a mutual fund company or discount brokerage firm. Usually measured by a risk tolerance profile questionnaire, risk tolerance is a gauge or estimate of how much risk or volatility (ups and downs of the market) an investor can withstand without selling shares of their investments. This is important because one of the worst mistakes that investors commonly make is to sell when prices are low, which is the opposite of good investor behavior. Therefore, prevent a big mistake and invest in such a way that suits your tolerance for risk! With that said, keep in mind that your own behavior is difficult to predict in advance. Therefore, if you've never experienced a significant bear market, where stock prices can fall more than 20 percent, you may want to start with an allocation percentage to stocks slightly lower than the risk profile suggests. What is the purpose of your money? What do you want it to do for you? How much time do you have until you need this money? How much risk are you willing to take to achieve above-average returns? Do you want your money to grow or do you want to preserve its current value? The answers to these questions will help you arrive at your investment time horizon and risk tolerance, which are the fundamental elements of determining your investment objective. An investment objective, in regard to personal financial planning, is the purpose a particular portfolio serves for the individual's or the investment advisory client's financial needs. Once the objective is determined, it will then dictate what particular asset classes and security types are needed to fulfill the purpose of the portfolio. Then simply stick to the objective unless a significant financial or life change occurs. Simplicity is among the greatest and most valuable investing virtues. Countless studies have shown how a diversified portfolio of low-cost mutual funds can outperform professional money managers over long periods of time. It's as simple as that! Even Warren Buffett has advised the use of mutual funds. It's basic math, fundamental finance, and simple accounting — more money going out means less money coming in. In the investing world, high expenses are a drag on performance, especially over long periods of time. This is the core strength of the best no-load funds and index funds. The best low-cost mutual funds are typically the top performers over long periods of time, such as 10 years or more.